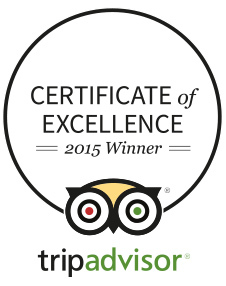 Our members will enjoy a 3-course meal on the first night of their stay and cream tea for 2! 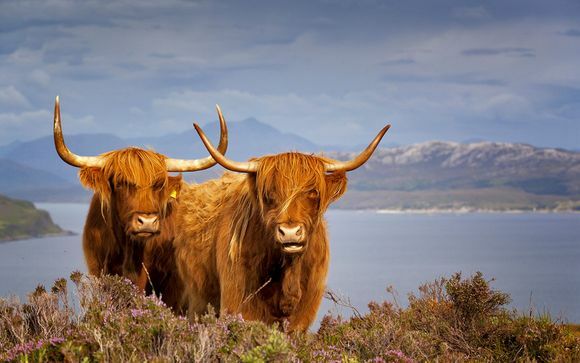 Expanding two-thirds of Scotland, the Highlands region is an unspoilt wilderness of spectacular beauty, famous for its passionate, fiery-haired folk, rugged Highland cattle and world-famous whisky. Explore the stunning mountains of the region plummeting into the lochs below and the rolling glens as the sun sets in the distance. Hike deep into these remote landscapes and see if you can spot a wild deer. Visit one of the many whisky distilleries to learn how they make their fine brews and sample some of their best. Taste some of their own Scottish smoked salmon in a local smokery and try your hand at some fishing in their wild rivers. Listen to the bagpipes play in the local town and soak up the atmosphere of a country filled with spirit and an unforgotten, passionate history. The city itself has a host of historic buildings, notably in the Old Town, as well as fascinating shops from the Victorian Market to the new award-winning Eastgate centre. Take a stroll to Inverness Castle or St Andrew's Cathedral, set alongside the River Ness, one of Britain's most beautiful riverside settings. There is a circular walk from the castle along the river and through the Ness Islands and you can watch anglers trying to catch Atlantic salmon - or try it yourself with a daily ticket. There are forest walks and views of the Moray Firth from Craig Phadrig, the hill that towers over the city. This grand hotel has a great location in the heart of Inverness, yet in a quiet area with splendid views of the River Ness and Inverness Castle. Inside its historic exterior, the Columba Hotel houses bright, airy rooms. Each has a TV with satellite channels and facilities for making tea and coffee. The hotel's décor combines traditional comfort with contemporary style and amenities. Free Wi-Fi is available throughout the building. There is a restaurant offering full table service and a range of hot, cold and grilled options. Guests can also dine at John Macnab's Bar & Bistro, which specialises in fresh Highland dishes. 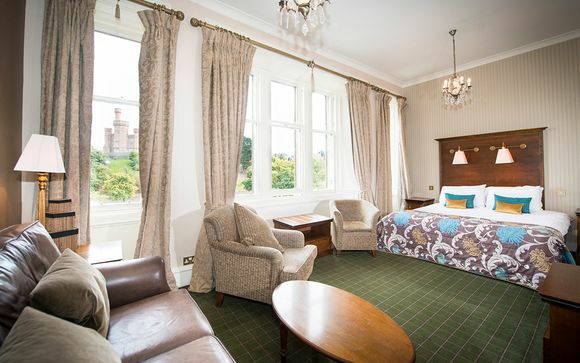 Stay in an Executive Room with unrivalled views over the city, Inverness Castle and the River Ness . Rooms boast free WiFi and satellite channels, coffee/tea maker and a private bathroom, shower/tub combination, free toiletries and a hair dryer. There is a restaurant offering a range of hot, cold and grilled options. Guests can also dine at John Macnab's Bar & Bistro, which specialises in fresh Highland dishes. Transfers: Transfers are not included. The time/distance (by car) between Inverness airport and hotel is approximately 25 minutes/10 miles.